What will it take to make Detroit a "baby friendly" city? Despite four major health systems, thousands of doctors, and countless social service programs, Detroit's infant mortality rate rivals that of a developing nation. "We lose, in any given year in the city of Detroit—not in southeast Michigan, but in Detroit—150 to 200 babies before their first birthday," says former Michigan surgeon general Dr. Kimberlydawn Wisdom, now senior vice president of community health & equity and chief wellness & diversity officer at Henry Ford Health System. The numbers are especially sobering among African American babies. For Detroit's white population, the average infant mortality rate between 2012 and 2014 per 1,000 live births was 10.4. For black babies in Detroit, the rate was 14.5 during the same years. Detroit physicians, community organizations, health workers, and state and local government entities agree that this situation cannot persist, and are ramping up efforts to combat the city's high infant mortality rate. In doing so, they're reframing Detroit as a city that's good for babies, with a strong support system and vibrant, caring communities that prioritize the needs of infants, as well as their parents and caregivers. "We have an incredibly deep culture of parenting in the city," says Dr. Abdul El-Sayed, former executive director and health officer for the City of Detroit. "There's multigenerational, connected families—mom, aunt, grandmother—in the same home. It's a great environment for a child. With a number of organizations in the city that are dedicated to giving babies the best shot at health, we are activating and leveraging these networks for the best health experience for moms and babies." In 2008, to address the alarming numbers, Nancy Schlichting, then CEO at Henry Ford Health System, and her peers at Detroit Medical Center, St. John Providence Health System and Oakwood Healthcare, approached Wisdom to form the Detroit Regional Infant Mortality Reduction Task Force. Wisdom and her team found 100 programs at risk of losing funding because they were not connecting to the women they were designed to serve. In response, they wrote a grant to bridge the divide, gaining funding from The Kresge Foundation, The Robert Wood Johnson Foundation, and each of the health systems involved. After a few iterations, the initiative became the Women-Inspired Neighborhood Network, or WIN, which focuses on Detroit's Brightmoor, Chadsey-Condon and Osborn neighborhoods, three of The Skillman Foundation's Good Neighborhoods, with a regional long-term view of decreasing the infant mortality rate. In In 2012, an initial cohort of 323 women were identified and supported by community health workers throughout pregnancy and for one year following birth. The result: no infant deaths. "We were really thrilled," says Wisdom. "The community health worker is the secret sauce" and can level the playing field. She goes to the womens' homes, becomes their mentor, best friend, biggest supporter. It's pretty amazing." In April 2016, WIN adopted a centering pregnancy model which brings 10 to 12 women together from several health systems for 10 two-hour, education- and support-focused prenatal visits, group-taught by a doctor or nurse midwife and a community health worker. Currently, 120 women are enrolled, and among the approximately 40 births in the current group, women are reaching due dates, achieving normal birth weights, and have a 100 percent breastfeeding initiation rate. 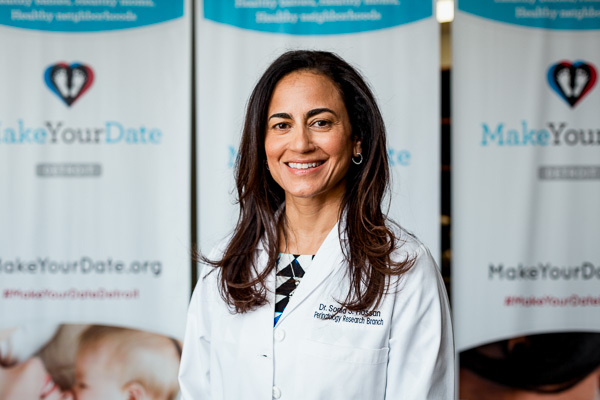 In Detroit, 50 percent of infant mortality can be attributed to low birth weight, according to information from Make Your Date Detroit. Funded in part by the DMC Foundation, March of Dimes ,and WSU, Make Your Date works to identify and treat women at risk for preterm birth. "There are many long-term complications from early birth, including cerebral palsy, respiratory problems, cognitive and learning disabilities," says Dr. Sonia Hassan, associate dean of maternal, perinatal and child health at Wayne State University School of Medicine. "The focus of this program is to get evidence-based strategies—tested medical interventions that are known to reduce preterm birth—and make sure women have access to them." Since launching in May 2014, Make Your Date has provided care to more than 5,000 women to determine cervical length, a risk indicator for preterm birth that can be congenital or caused by infection. "If we find [her cervix] to be short, we know she's at high risk for preterm birth," says Hassan. "Then we give progesterone and have decreased the rates of preterm birth by 45 percent. We were the first to offer group prenatal care on a large scale." 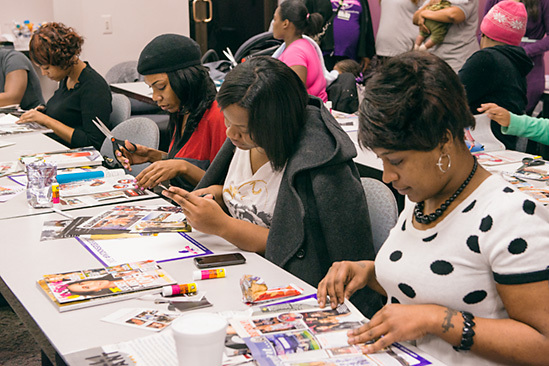 Make Your Date is focused on outreach and education to help more women in Detroit, and is building a data registry to study factors and outcomes. "We take the approach of following patients and connecting them to what they need. There are a lot of holes that people fall through that we are trying to fit in. It's not just medical, but other factors as well," says Hassan. Hassan says the program is the first of its kind, and could be replicated in other urban centers with similar risk factors. "We have been asked by other cities and are considering it," says Hassan. "But our focus is Detroit. And that will never change." "Baby friendly" is a commitment to put the needs of baby first, before profit and convenience. Sometimes, that means a top-down reframing of policy, procedure, and focus. 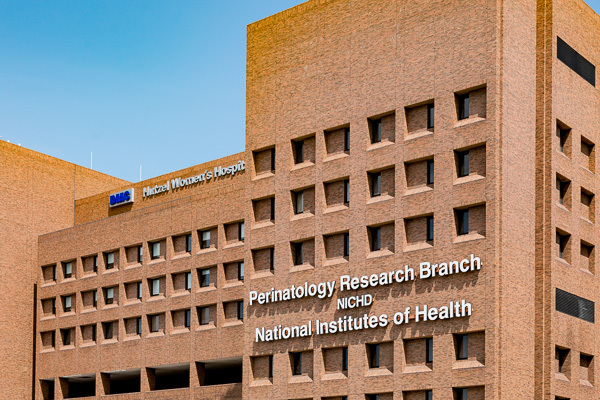 To achieve the stringent, evidence-based practices outlined in the Baby Friendly Hospital Initiative (BFHI), St. John Hospital in Detroit got every department on board. "What makes a hospital run for the Baby Friendly Initiative successful is commitment at all levels," says St. John Providence Health System breastfeeding coordinator Dr. Paula Schreck. "It's a comprehensive accreditation that's not just about medical practices, but also purchasing, marketing, and education." Prior to implementing BFHI in 2009 and 2010, breastfeeding initiation rates at St. John Hospital were about 50 percent. They’re currently around 75 percent. "More importantly, we've narrowed or eliminated racial and social gaps of those initiation rates," says Schreck, adding that equal and equitable education to all groups helps achieve these numbers. And breastfeeding's enormous benefits are even more impactful in preterm and low-birth weight situations. Shreck says breastfeeding contributes to the decreased incidence of SIDS, otitis media, gastrointestinal disease, and pneumonia. The benefits follow the baby into childhood to reduce Type 2 diabetes and asthma and improve school performance. "For the mother, there's a decreased lifetime risk of breast and ovarian cancers, cardiovascular disease and decreased post partum depression, which affects one in three mothers. It enhances maternal-infant bonding and the economic benefit is huge," Schreck says. St John is currently the only Detroit BFHI hospital, but Schreck credits local health systems for working toward accreditation and for their collaborative work to make Detroit a more baby-friendly city. The Black Mothers Breastfeeding Association (BMBFA) was founded to reduce racial disparity in breastfeeding success for black families through a breastfeeding helpline, breastfeeding club, and a community-based doula program, so women will initiate and continue breastfeeding. Michigan black breastfeeding rates are lower than white rates, but the numbers are improving, according to BMBFA founder Kiddada Green. In 2016, the BMBFA breastfeeding club served 137 families and the peer counselor program made 493 home visits, while the doula program made 345 home visits and supported 100 percent breastfeeding initiation at 24 births. "One of the great things happening in Detroit is the collaborative spirit about moving forward and working together to make sure we save babies' lives." All photos, except where credited, by Nick Hagen. 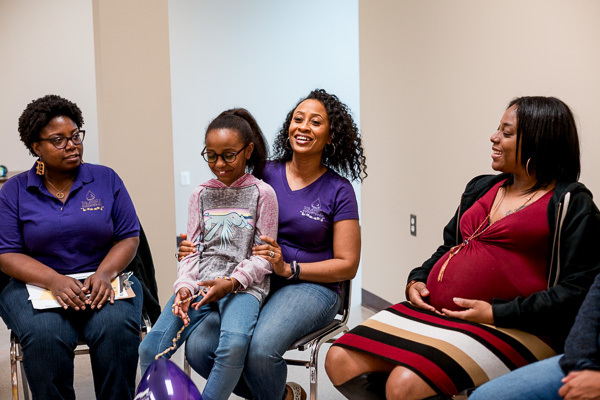 Detroit has launched a high-touch approach to support women throughout pregnancy and beyond through SisterFriends, a birth-outcome improvement initiative modeled after Birthing Project USA. Formally announced during his State of the City Address on February 21, Mayor Mike Duggan highlighted SisterFriends for Detroit women to deliver healthy babies, carried to term, and supported by their own communities into toddlerhood. "We're looking to change the culture of how women having babies are celebrated, every child born wrapped with whatever support services they need," says Yolanda Hill-Ashford, director of the Healthier Beginnings Division with the Detroit Health Department. Through SisterFriends, "little sister" pregnant women will be paired one-on-one with community-based trained volunteers who will meet with them regularly. "Every woman who has a baby in the city of Detroit is supported with someone to be with them for their whole journey," says Hill-Ashford. "Statistics are important, but we want to stop counting dead babies. If that means holding your hand through pregnancy, that is what we will do." SisterFriends is funded through the Detroit Maternal-Child Health and Michigan health departments and The Kresge Foundation. This year, 500 little sisters will be served, growing to 1,500 next year, with a virtual component being added during year three. Focus groups to connect men in similar ways are already underway. Designed to bridge a disconnect that sometimes happens between women and medical professionals, Duggan believes SisterFriends will be especially effective with teen moms. "What they have found nationally is when pregnant moms, particularly teenage pregnant moms, have someone they see as a sister, that they confide to, that the advice they get on nutrition and exercise and making their doctor's appointments is taken a whole different way," Duggan says.